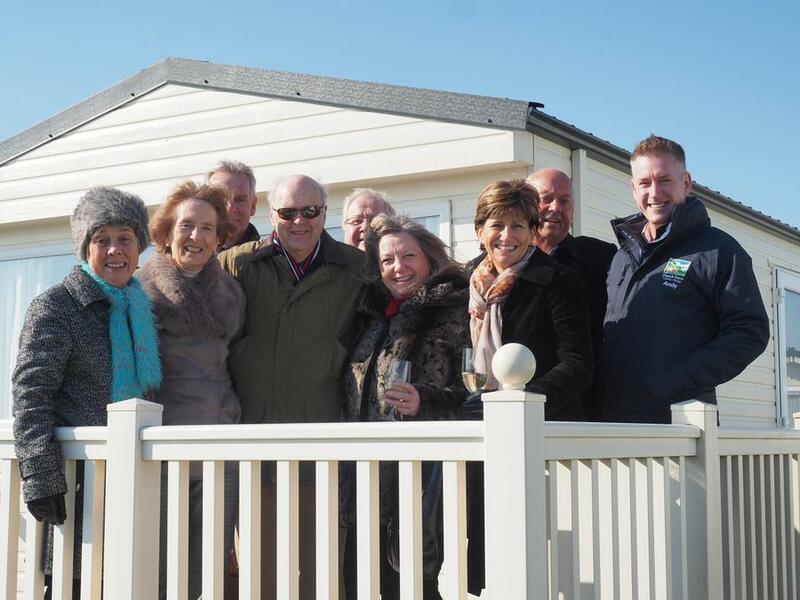 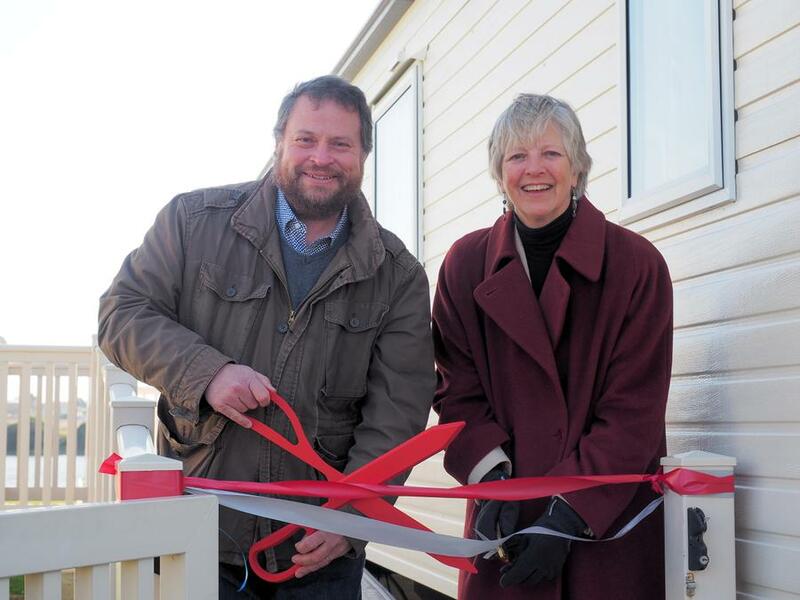 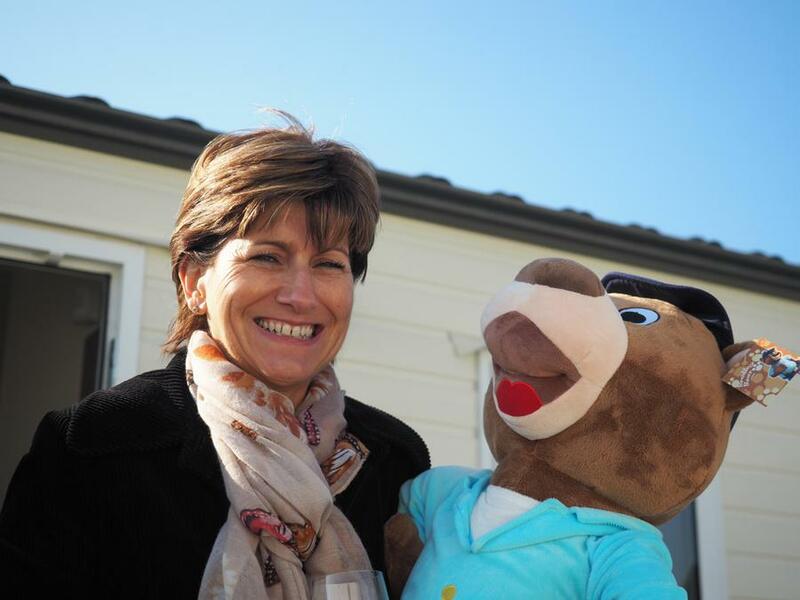 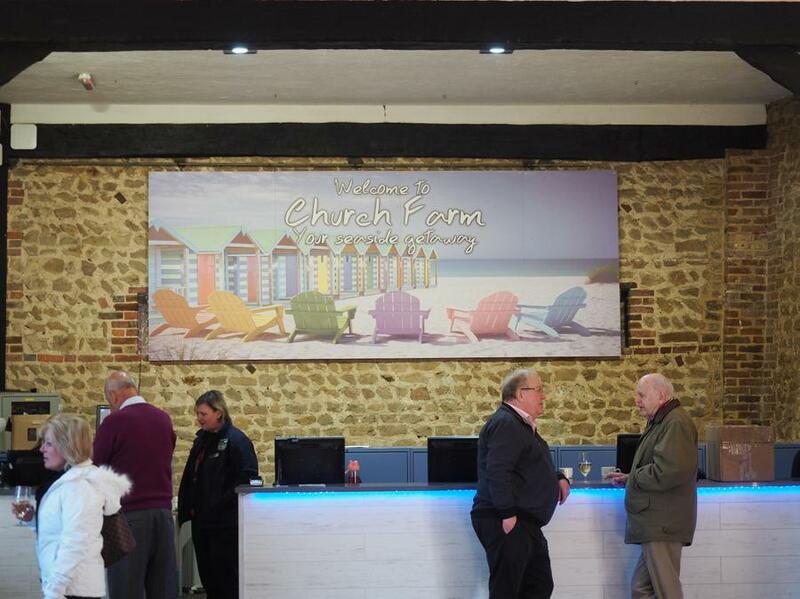 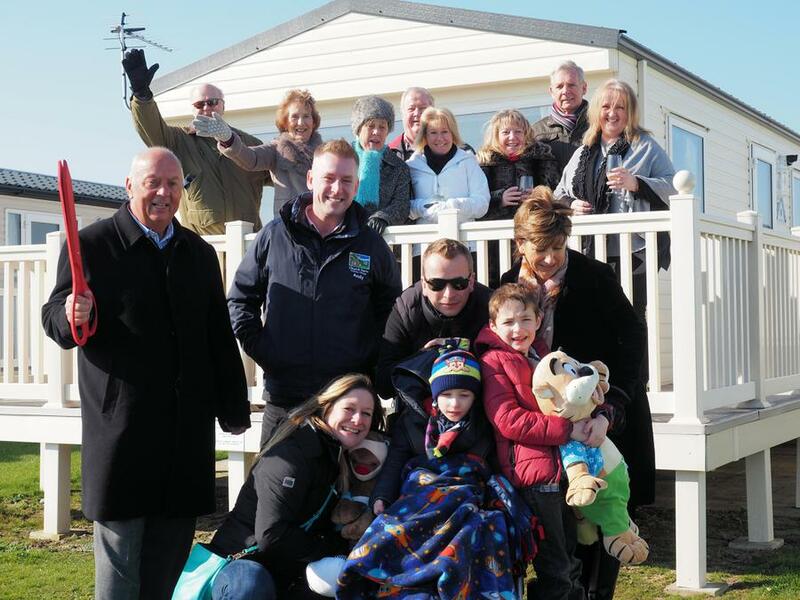 What a beautiful sunny day in Pagham for the Grand Opening of our two new holiday homes! 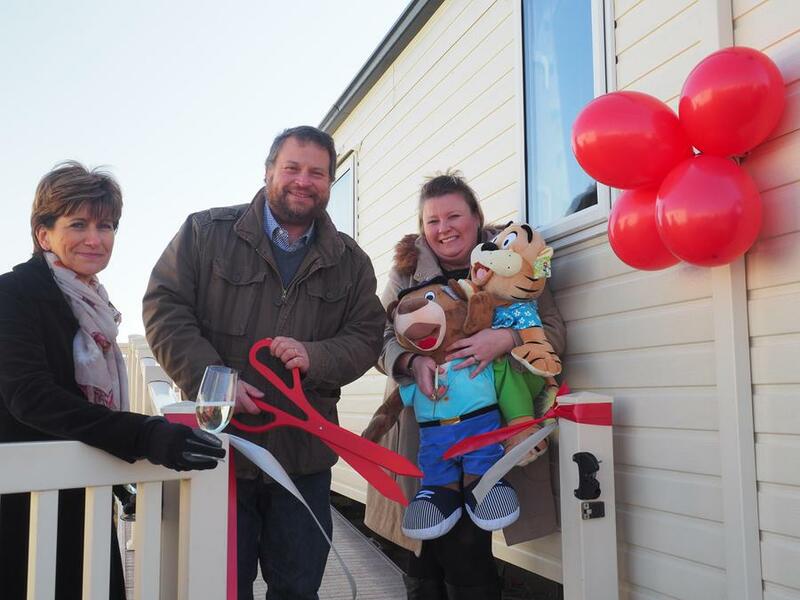 These splendid homes will enable us to offer holidays to hundreds more special needs families for many years to come! 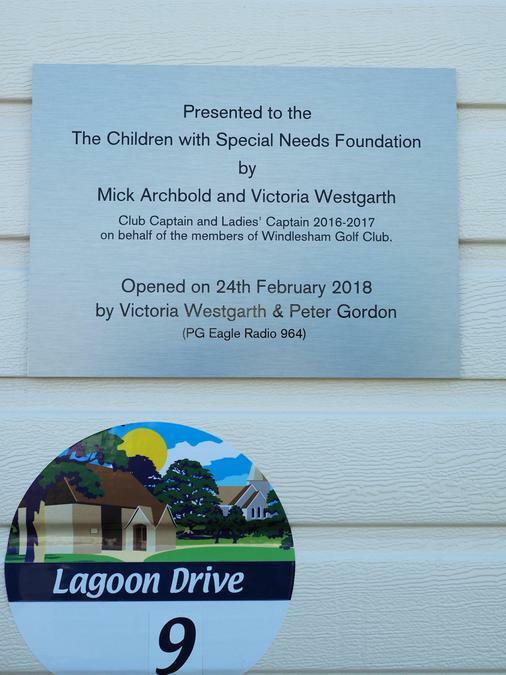 We are so grateful to Victoria and Mick from Windlesham Golf Club and to the Executors of the late Gordon Henry Turner for their donations. 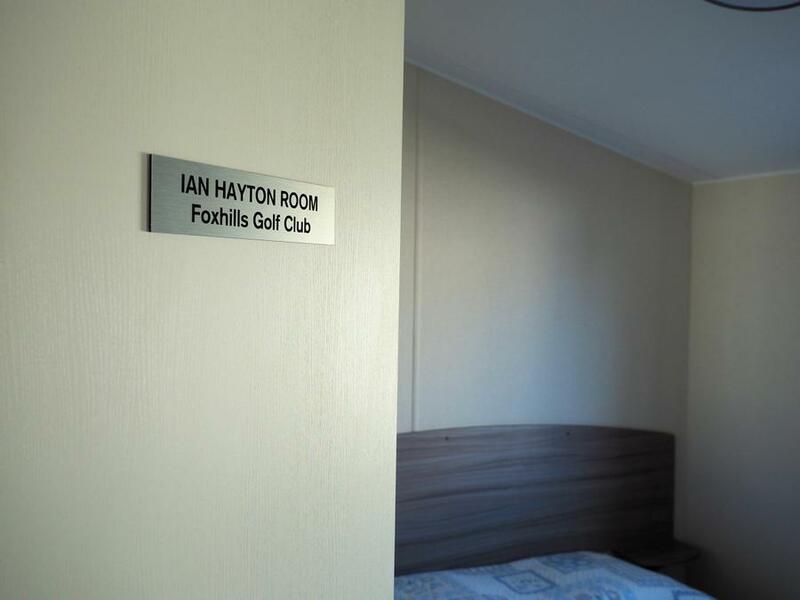 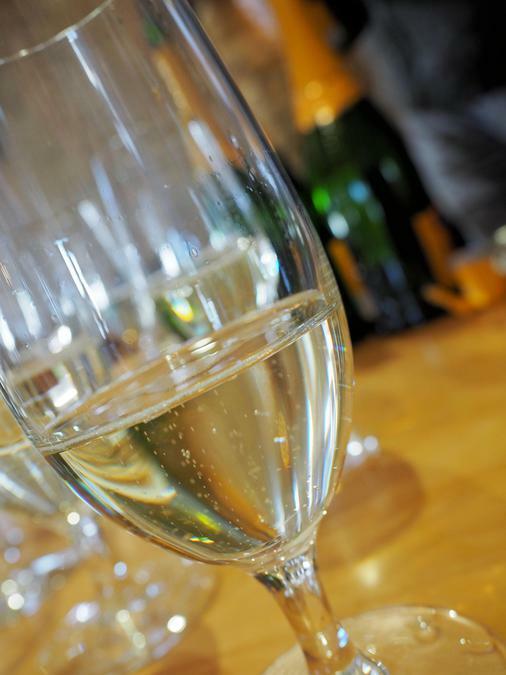 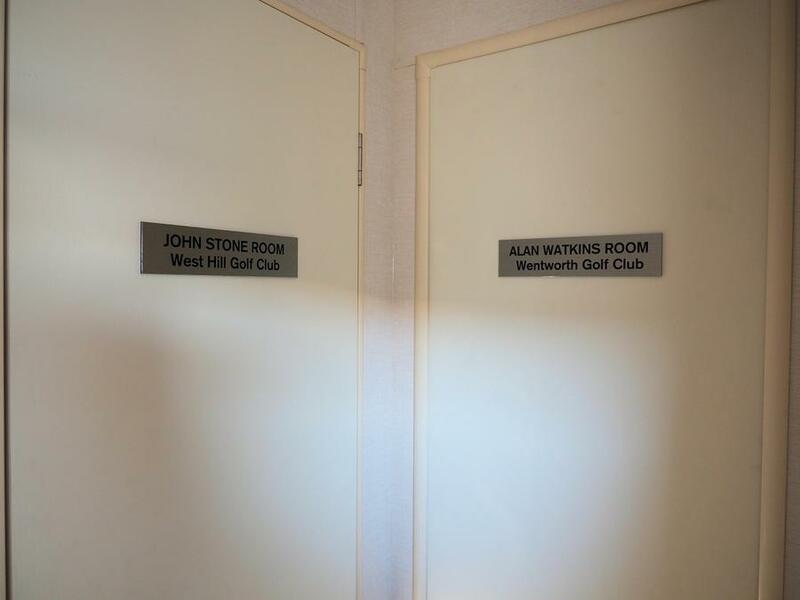 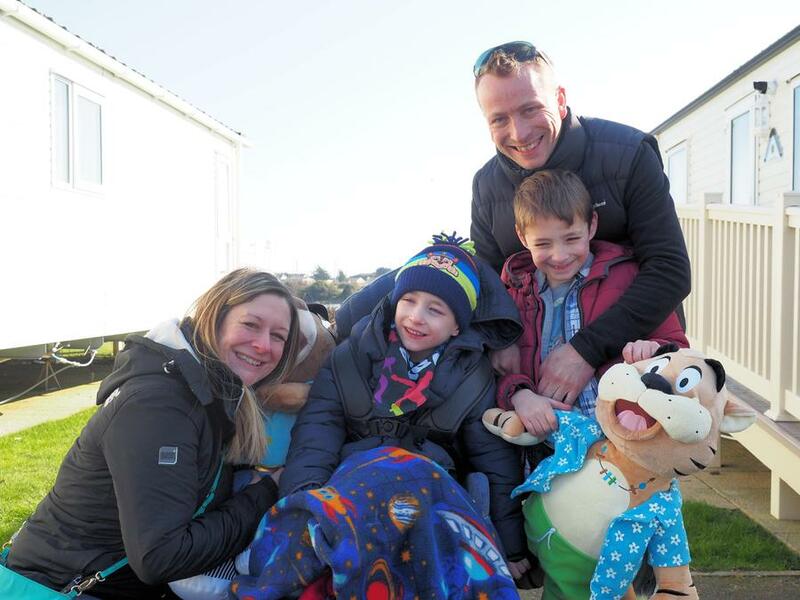 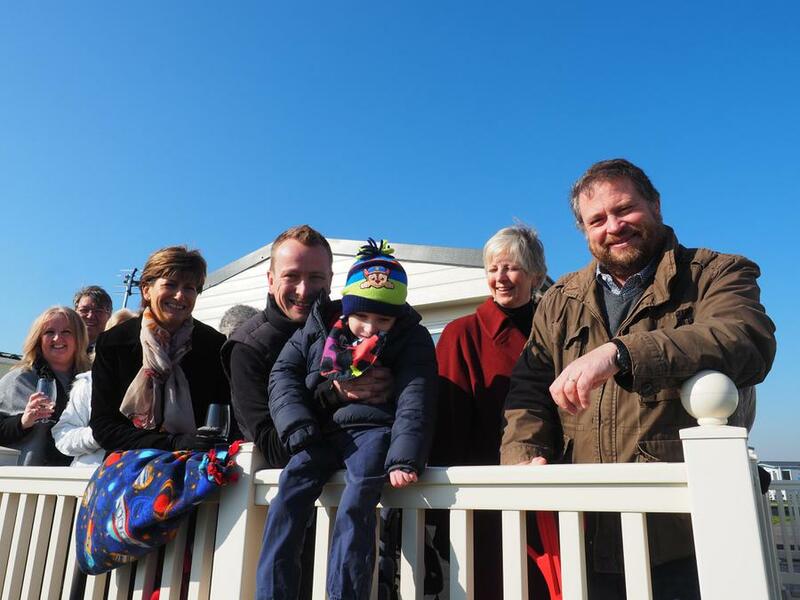 These ensured we could purchase the fantastic new holiday homes and carry on our 17 year tradition of helping our families have an affordable break. 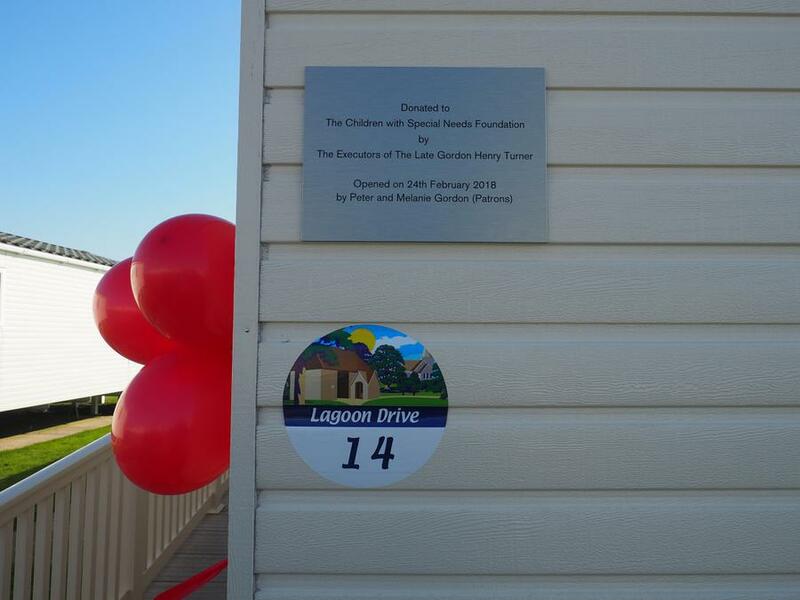 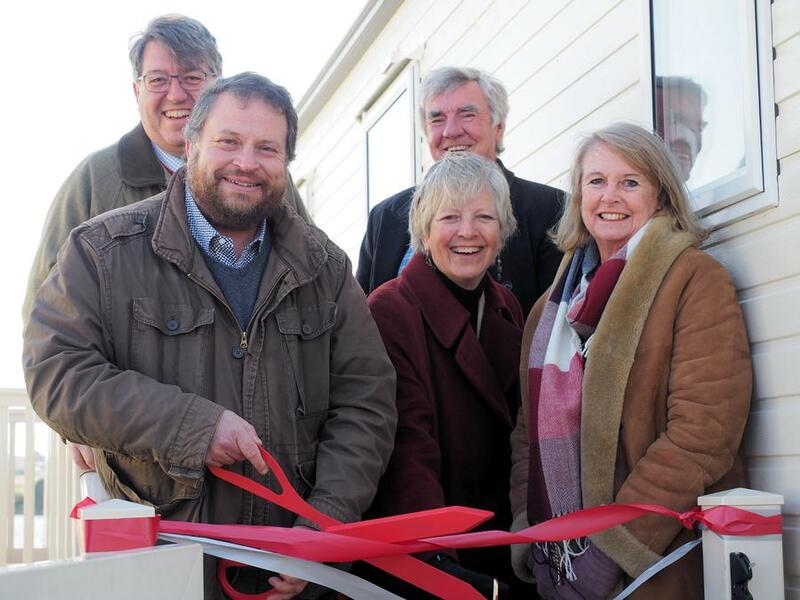 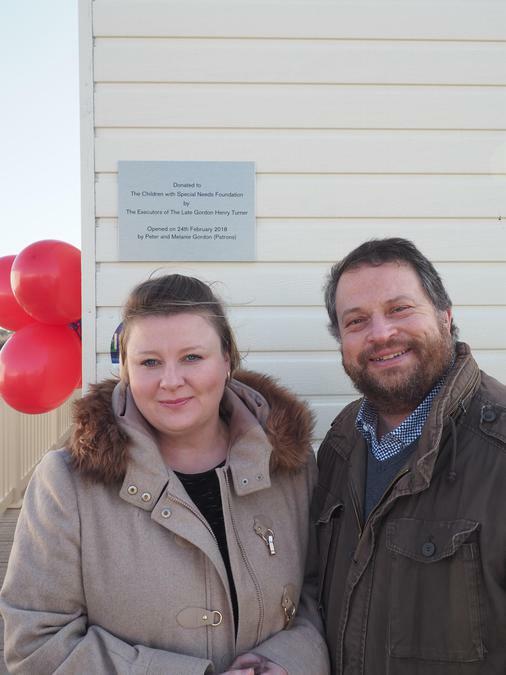 Thanks also to Peter Gordon (PG from Eagle Radio) and his wife Mel for attending the ribbon cutting ceremony. 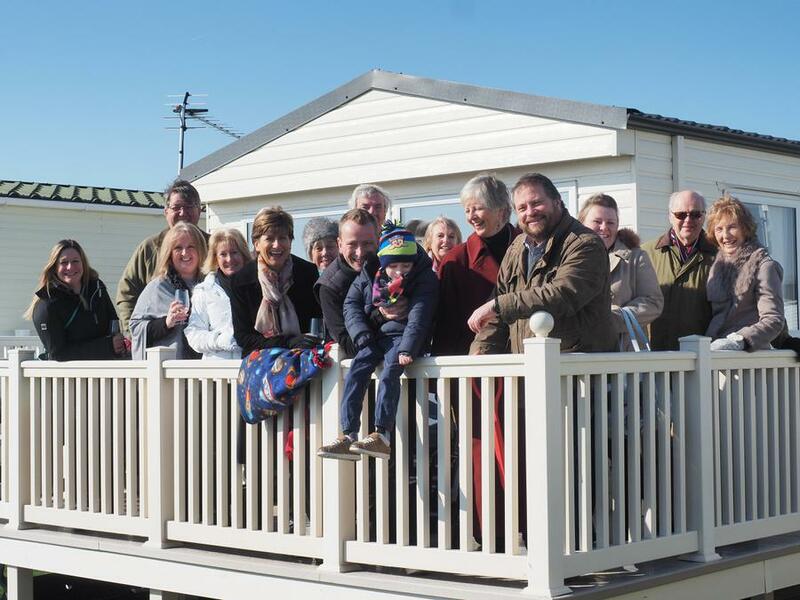 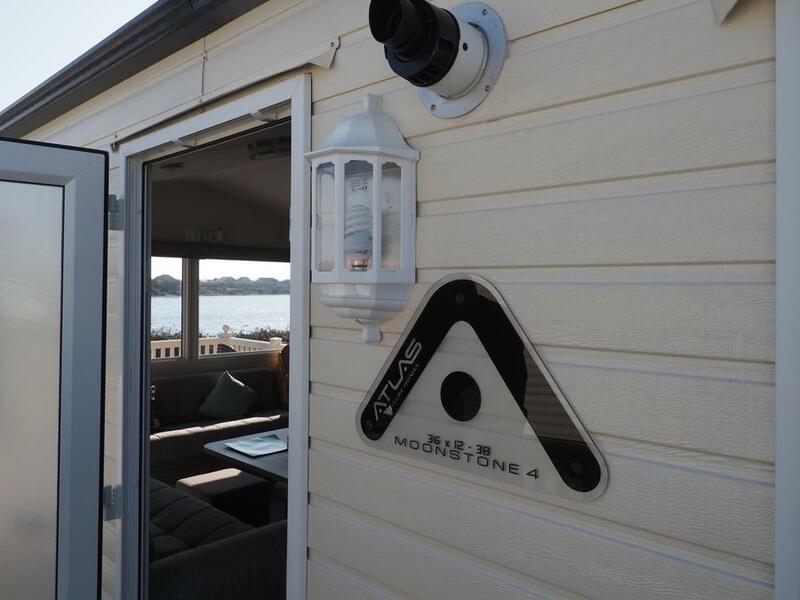 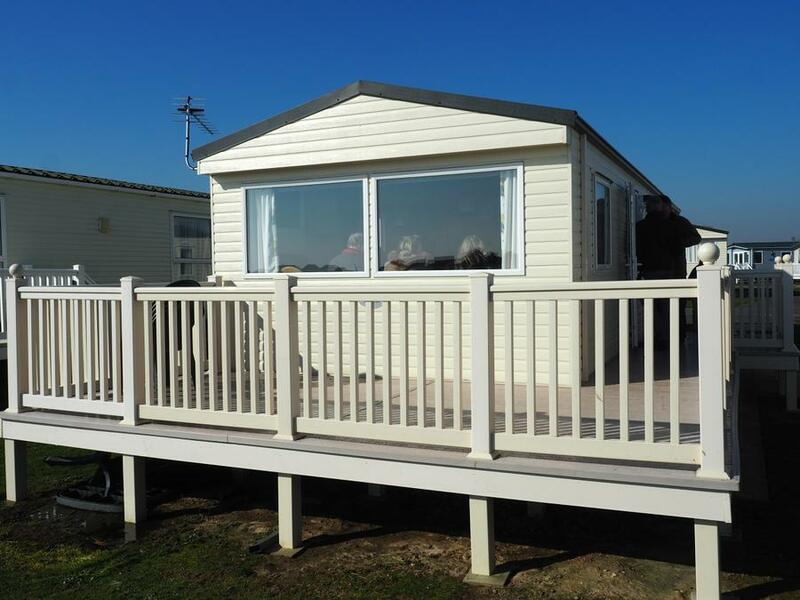 For more information about our Mobile Home Holidays see the section on this website.